Selectable lists come in a number of different formats, including radio buttons, checkboxes, and drop-down lists. These lists are useful when they contain a fixed number of items that very rarely changes. 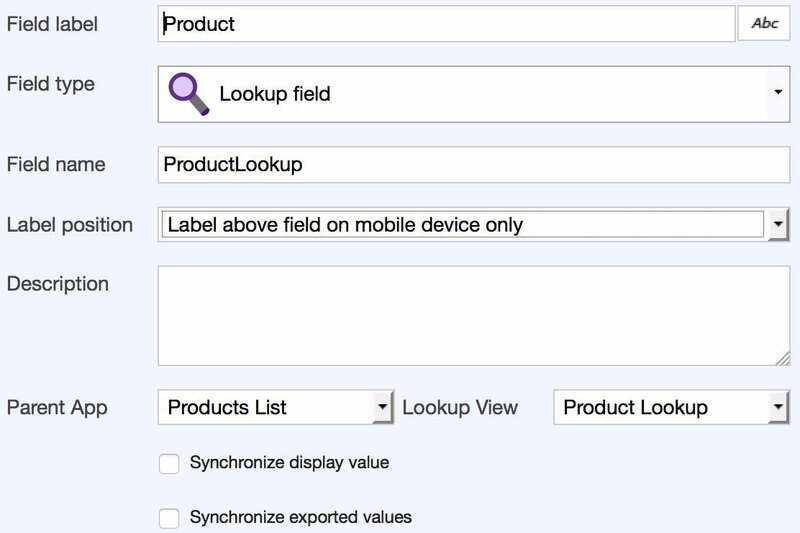 In cases where you anticipate the list data to change, a separate application and a lookup field can allow you to manage selectable items that change more often such as customer, product or parts lists. By storing this reference data in a separate application, you can maintain it separately either manually, through csv import/export, or with automated integration with your existing backend system such as a CRM or ERP system. A consumer goods brand introduces new products on a regular cycle, and sometimes stops selling old products. Store auditors that report on the distribution and presentation of products in the store report exceptions, and the products associated with these exceptions. These auditors need to be able to select from an up-to-date list that is maintained by other users. In the 'Display' dropdown, select the field that the user should see when they have made a selection (e.g., Description). 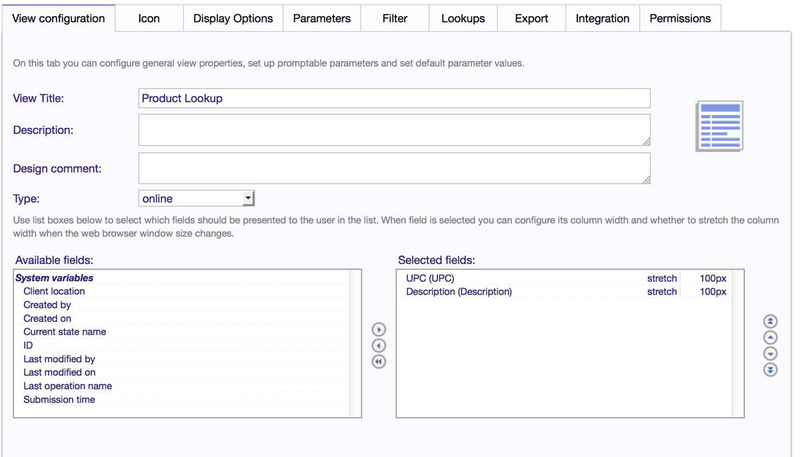 You can make multiple fields available for export by clicking 'Export Another Field'. 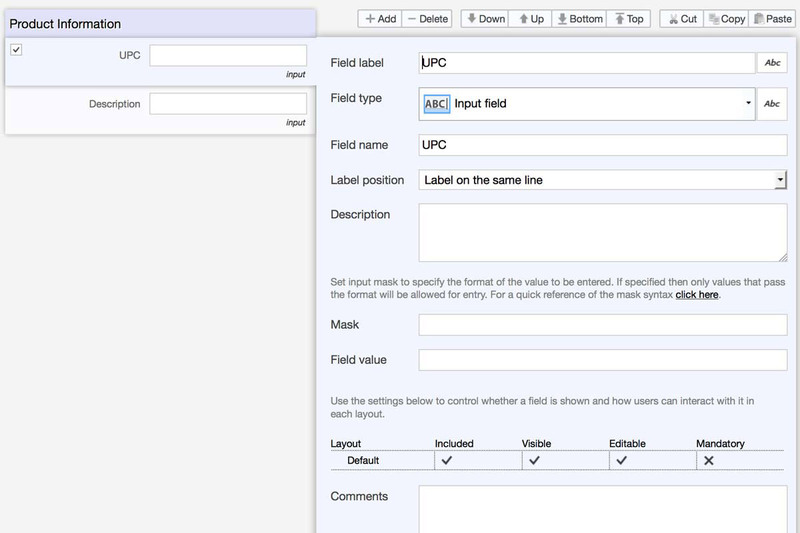 For more information, read the article Prefill Entry and Selection Fields in Forms. In the Operations section, create any operations an administrator needs to manage the list (eg. Import Merge), or use the default operations for list management. Return to the Configure tab to customize the application that will be used to lookup data from this list. You have the option to either keep your records unchanged when the reference list data changes, or use the 'Synchronize display value' and 'Synchronize exported values' checkboxes to update all previous records when your list data is updated. 'Synchronize display value' updates the value that the user selected. 'Synchronize exported values' updates any additional fields that were copied through the lookup.